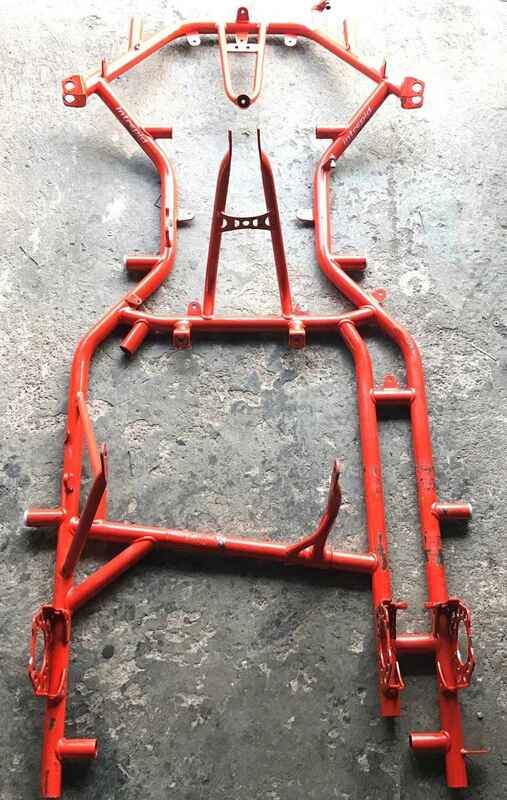 We’ve never used the bars on our 206 karts but new chassis has the provision for it and was thinking of trying it in testing. I understand the premise of reason to use. I’ve been looking and I see nylon and aluminum bars. What would be the reasoning on the nylon vs the aluminum? The nylon bar would be softer and give less front grip than the aluminum bar. Keep it simple! Less thinking, more beer drinking. @tjkoyen just out of curiosity does a nylon bar fit an OTK? Asking because I have never seen one. Don’t know if I have seen one either. OTK already has 4 metal bars so not sure they really need a nylon bar… I run the blade all the time. So the front bar would tend to add front grip? I’ve been finding that adding a front bar also stiffens up the back end a bit. If I run a harder bar, the back end binds up and I have to counter that in some way, but it’s not a major issue. So you’re saying it adds grip on both ends? To an extent. 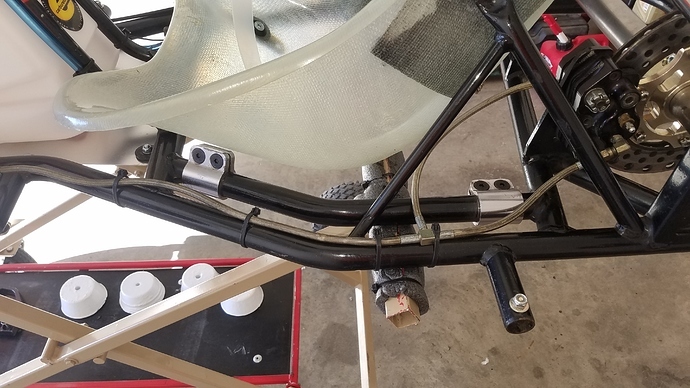 It’s much less significant but if you change front bars during a practice day I have noticed there is a bind in the rear end on exit the stiffer a front bar is. It makes sense, considering the bar isn’t directly between the front wheels, that it would have some effect on the rear as well. The bar will limit flex between the two side rails, so while the effect is greatest at the front, the whole chassis will stiffen up a bit with a stiffer bar. We’ve found that stiffer front bars tend to increase the rate of inside rear wheel lift. 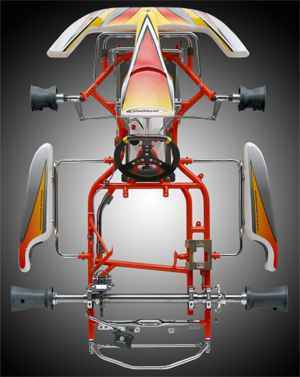 So while the kart will turn in better as it lifts the inside rear harder and faster, it will also set that inside rear back down quicker. Basically, if you think of the frame as a spring, you’re adding tension to the spring. The entire flex action will happen quicker. Wow - talk about a unique frame design. I don’t think I’ve ever seen a side torsion bar on a chassis, much less a double rail on the left side. @tjkoyen – you got anything for this guy? i’m not sure it’s that unique. Intrepid had those bars, too. Yep. Got that in my evo8 intrepid chassis as an optional torsion side bar. It’s a pre 2010 chassis idea. Yeah fairly common to see some 4th rails on karts several years ago. Birel made some as well. Basically as I understand it, you’re effectively stiffening up the cross rails, and thereby limiting waist flex. Thank you for the input guys! That appears to be what it’s for. GP looks to be trying a variation of this with their bilateral “traction system” rods that join the side pod front mount to the front spindle aft “riser” tubes via heim joints at both ends. Basically, it works by reducing lateral flex at the chassis waist. The claim is a form of traction adjustment. Not sure how effective it is, though I haven’t seen any of the other mfgers trying it.